Campo del Moro is one of the must-sees in Madrid. It is located behind our neighbor Palacio Real, and is possibly one of the most beautiful gardens in Spain. Its origin is quite curious, and it seems that it is the place where the Almoravid leader Ali Ben Yusuf camped with his troops to try the reconquest of Madrid. Luckily, the attempt was unsuccessful. The plot of land that today occupies Campo del Moro was first known as “almuzara”, and later as “the fabric”. The latter apparently derived from the term “talaq”. Both Arabic words mean something like “field of tournaments”, and that was what took place in that plot of land for a long time. But Felipe IV decided to move this type of shows to the Buen Retiro park. 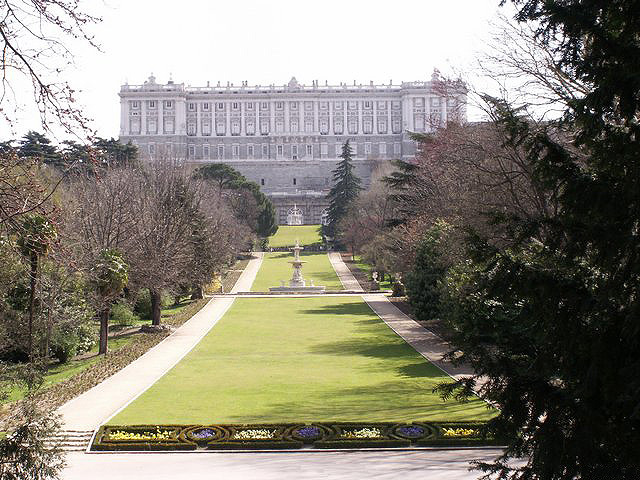 During the reign of Isabel II, in 1844, it was decided to create gardens as beatiful as the Royal Palace. The person in charge of designing it was Narciso Pascual y Colomer, architect mayor of the Kingdom. However, it was not carried out until the end of the 19th century by Ramón Oliva. In 1931 it was declared an artistic historical space, and since then it can be enjoyed by all visitors who wish it. And in addition, it is very close to El Anciano Rey de los Vinos so, during your visit, you can enjoy the authentic atmosphere of a traditional Madrid tavern.